It’s pretty much universal: Kids, of any age, like macaroni and cheese. Comfort food, pure and simple. My childhood memories of mac and cheese run to the boxed fluorescent orange Kraft Dinner variety, which I loved at the time. Now my tastes run far, far away from packages of neon orange powdered cheese, and more to real foods. More as in 99.9% of the time. I also eat way less pasta than I used to. So now my go-to mac and cheese is actually cauliflower in a rich cheese sauce. 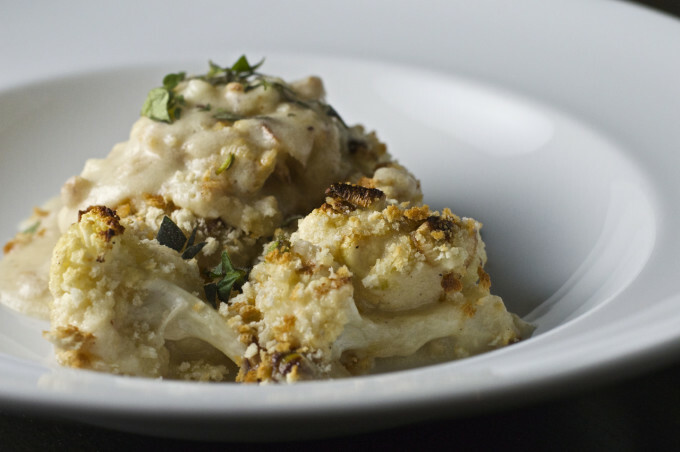 Yep, cauliflower and crispy roasted leeks, covered in a sharp cheddar cheese sauce. I’m calling it cauliflower cheese bake, and it’s my new favorite comfort food. First off, instead of steaming the cauliflower and leeks I roasted them with a drizzle of olive oil and some salt and pepper. Roasting teases out the natural sweetness in any vegetable. It also dries out the cauliflower slightly, so that it retains some crispness in its texture even when it’s cooked through. A finishing touch is sprinkling some dry bread crumbs (or panko) for a crunchy texture contrast to all the cheesy cauliflower and leek goodness below. If you want a gluten-free — and seriously kid-friendly — version, crushed potato chips or shredded Parmesan cheese would work well. So why the talk about making a kid friendly dinner, you may be asking? Let me explain. I was inspired to create a dish because my sister-in-law Carol-Ann Hoyte, has just edited a collection of poems targeted to eight- to twelve-year olds. 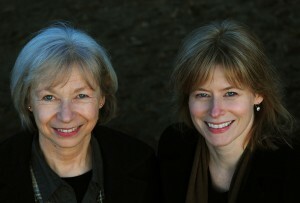 Dear Tomato: An International Crop of Food and Agriculture Poems, is all about the strong connection real food plays in our lives. If you live in the Montréal area, Carol-Ann is having a book launch on April 26, 2015 (Sunday) from 2:00-4:00pm at Livres Babar in Pointe Claire. If you’re in Austin, Texas, Dear Tomato will be sold at the American Horticultural Society’s 2015 National Children and Youth Garden Symposium, happening July 9-11, 2015. If you live outside of these areas, there’s always online: Dear Tomato is available from U.S. independent booksellers, Canadian independent booksellers, and from Amazon.com, Amazon.ca, and Amazon.co.uk. Also, selfishly, when I was thinking of healthy comfort food I thought of one kid in mind, my gorgeous nephew Thomas. He’ll be two years old in July and he is absolutely amazing. I’m sure he’ll love Auntie Kris’ cauliflower cheese bake when he’s a bit older. Comfort food made from scratch, inspired by Dear Tomato, a new collection of kids poetry. Roasting the cauliflower and leeks gives a sweet, rich flavor that pairs well with the tangy cheddar cheese sauce. The sauce is easily made gluten free by using a gluten-free flour mix in the sauce, and Parmesan cheese (or potato chips) for the topping. Preheat the oven to 425°F. 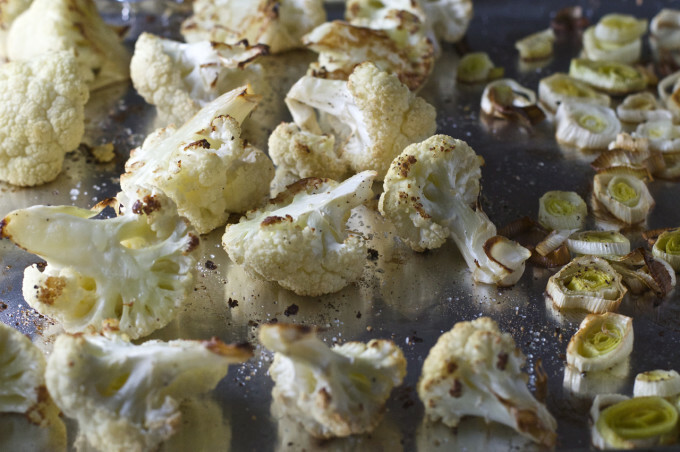 Place cauliflower florets and sliced leeks on a large foil-lined baking sheet. 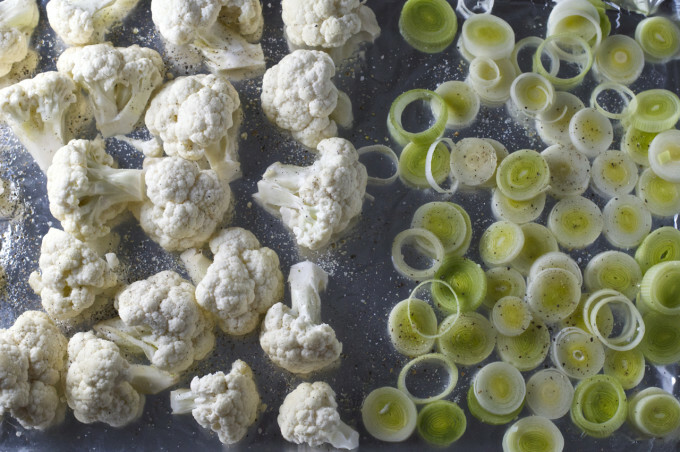 Drizzle with olive oil, and use your hands to coat cauliflower and leeks evenly. Sprinkle with salt and pepper and place in the oven for 10 minutes. After 10 minutes, remove the baking sheet from the oven. Turn the cauliflower over and stir the leeks and place back in the oven for 8-10 minutes, or until the cauliflower can be pierced easily with the a fork. Reduce oven temperature to 375°F. Heat the milk in a medium saucepan over low heat just until simmering, then turn off the heat. In a separate medium saucepan, melt the butter over medium-low heat. Add flour and whisk until there are no lumps. Add 1/2 cup of the hot milk and whisk until smooth. Continue adding the milk 1/2 cup at a time, whisking after each addition until smooth. Add the shredded cheese, stirring constantly until the cheese is melted in. Stir in nutmeg (if using) and salt and pepper to taste. Remove from heat. Place the roasted cauliflower in a shallow casserole dish in a single layer (I used an 8x8-inch square dish). 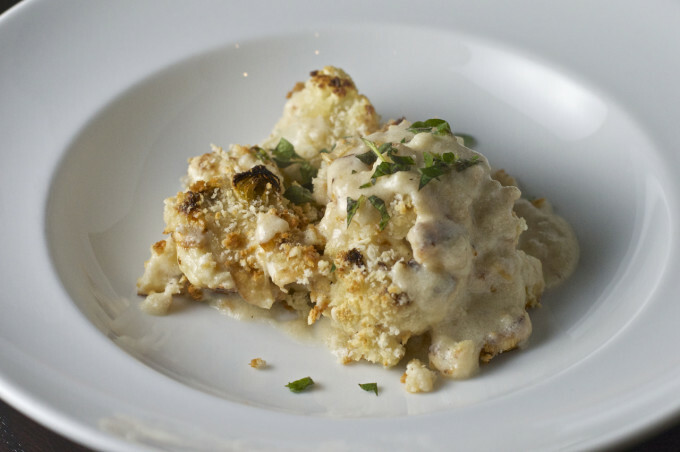 Sprinkle the roasted leeks on top of the cauliflower, then pour the cheese sauce evenly over top. 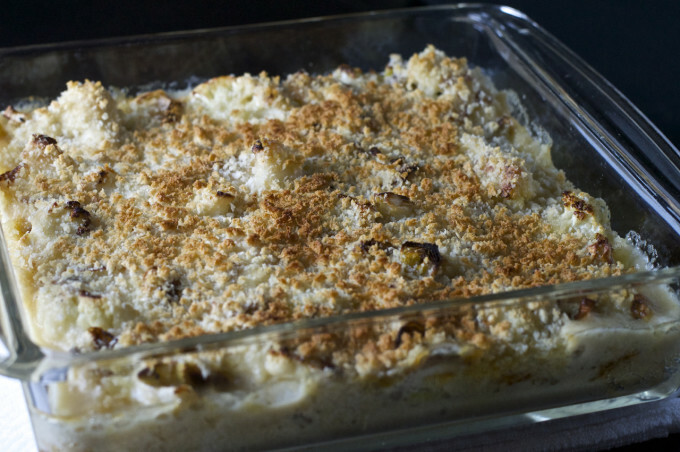 Sprinkle the panko (or Parmesan cheese, or crushed potato chips) over the casserole and place in the oven. Remove from oven and serve. Aaaahhhhh......comfort food. This looks absolutely delicious, Kris. Can’t wait to try it! Thanks, Daphne! I find it works best in an 8×8″ or shallower dish, with some cauliflower peeking through the top to retain some crispness. Let me know how you like it once you try it! Made this many times now and its lovely. I don’t boil my cauli i break up the florets and put them in the microwave with about a tablespoon of water cover with cling film and cook on highh for 4 mins in a single layer, so it may need to be done in two lots . I find this way it doesn’t clog up with water, I use a very strong cheese often adding stilton as-well, 1 tsp of dry english mustard and I use 5 tablespoons of flour instead of the stated 4. Gorgeous.